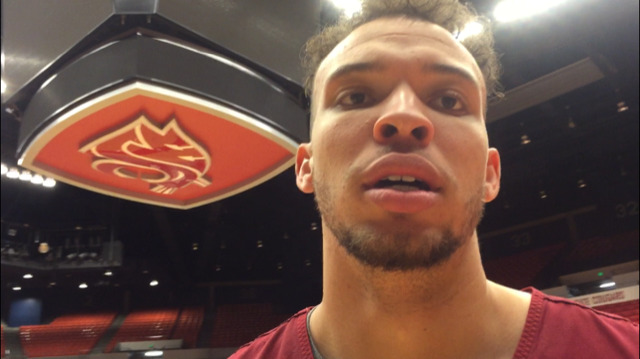 Tue., Jan. 30, 2018, 9:26 p.m.
Washington State forward Drick Bernstine talks about preparing for No. 9 Arizona and the challenge of guarding the Wildcats’ DeAndre Ayton. Published: Jan. 30, 2018, 9:26 p.m.